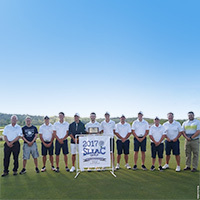 For the sixth consecutive year, the Webster University men's golf team was awarded the 2016-2017 Team Academic Award by the Golf Coaches Association of America (GCAA). Additionally, the Gorloks were one of only seven NCAA III teams nationwide that received President's Special Recognition by the GCAA for posting a 3.54 grade point average (GPA) for 2016-17. 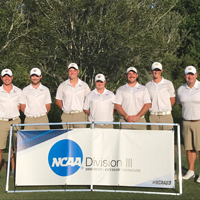 The Webster University golf team made the cut for the finals of the NCAA Division-III Championships, shooting a second round 315, on Wednesday, May 17, at the Mission Inn Resort & Club, in Howey-in-the-Hills, FL. For the first time in team history the Gorloks advanced to the 3rd and 4th rounds, keeping alive their quest for a national title.